The kakapo is the world's rarest and strangest parrot because it can not fly and it is only active at night. Although it is a ground-dweller, it is able to climb trees. This parrot is only found in New Zealand, and it is not closely related to any other member of the parrot family. Kakapos are the heaviest parrots in the world and can weigh up to 8 lb and grow as long as 23.6 inches. They are also the longest lived parrot; the oldest known bird was elderly when found in 1975 and still lives today. Adults have beautiful moss-green feathers with black bars on their backs, allowing them to blend well with native vegetation. Their underbellies, necks, and faces are yellowish in color, and the feathers are very soft. The kakapo is also called the "owl parrot" because of its facial disc of fine feathers that resemble the face of an owl. Their beaks are surrounded by "whiskers" which they use at night to sense the ground as they walk with their heads lowered. Kakapos were once found in a variety of habitats, including lowland podocarp forests, upland beech forests and subalpine scrublands. 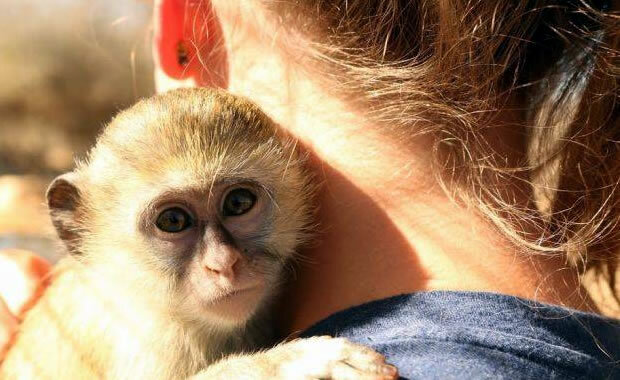 Although they are solitary and prefer to live in remote areas, they are very curious, and they have been known to enjoy the occasional company of humans. Diet consists of plants, seeds, fruits, pollens, and the sapwood of trees. They have also been observed to occasionally eat insects and other invertebrates. Kakapos are the only parrots in the world that are "lek" breeders. Males gather in large groups and compete with each other to attract females to mate with. Females watch the males as they put on their display and choose the male they enjoy the most. The breeding season is from December to April, and females lay between one and four eggs and incubate them faithfully unless they must leave to search for food. The eggs hatch after 30 days. It is estimated that millions of kakapos were once found within the North, South, and Stewart Islands of New Zealand, and for millions of years, most kakapo predators did not exist on these islands until introduced later, making the species very vulnerable since kakapos do not run or fight predators. The population of the kakapo today is less than 90 individuals. To prevent the extinction of the kakapo, a recovery plan was implemented in 1989, and the remaining birds were relocated to six predator-free island habitats, where the birds are relatively safe and are breeding successfully. Copyright Notice: This article is licensed under the GNU Free Documentation License. It uses material from the Wikipedia article "Kakapo". Glenn, C. R. 2006. 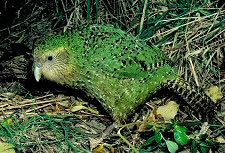 "Earth's Endangered Creatures - Kakapo Facts" (Online). Accessed 4/21/2019 at http://earthsendangered.com/profile.asp?sp=219&ID=4.